Unfortunately due to unforeseen happenings, this event is being postponed to next week, Wednesday the 28th. Hopefully this doesn’t put any of you out, and we look forward to seeing you next week! 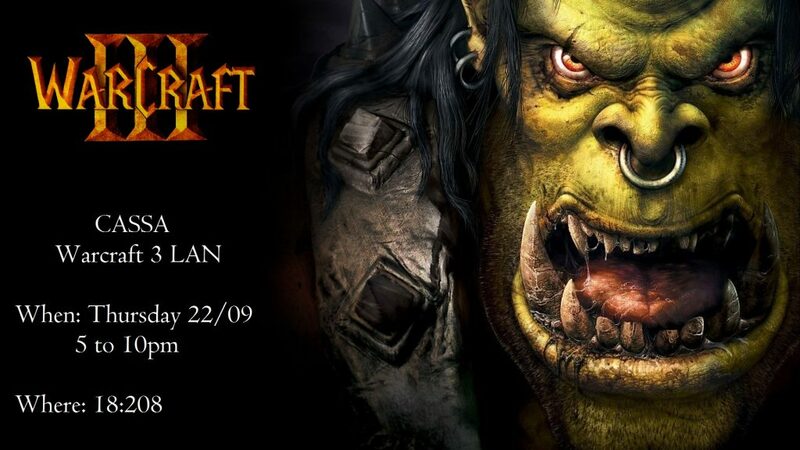 Whether you’re Alliance or Horde, join us for a night playing Warcraft 3! Is Warcraft 3 best game, or best game, in the Warcraft series? Discuss in comments. Answer is best game. Edith Cowan University Joondalup campus, room 18.208. Dinner time is at 7:30 PM, and we’ll head down to the first floor to eat. We’re offering some pizza meal deals on the night. If you’re not feeling like pizza, BYO food is welcome. Please note. No food or drink can be consumed in the labs. All food and drink must be consumed on the first floor.